Lawyers and doctors fighting government cuts to refugee health care say they hope they're one step closer to the reinstatement of federal health coverage for all refugee claimants. Lawyers representing the government and those representing doctors and refugees were supposed to be back in appeal court on Oct. 26, but the case has been adjourned, for now. Up until 2012, anyone awaiting a refugee status decision had their health care costs — including dental, eye care and medications — paid for by the federal government until their application was decided and provincial health coverage kicked in. But in 2012, the federal government cut the funding and claimed refugees were coming to Canada to make false refugee claims specifically to get free health care. Doctors and lawyers across the country decried the cuts, calling them inhumane, detailing cases involving children and pregnant women. A group of doctors and refugee claimants took the government to court, arguing the cuts to the Interim Federal Health Program violated Canada's Charter of Rights and Freedoms. Last year, Federal Court Justice Anne Mactavish agreed the cuts had gone too far and were unconstitutional, but then the Conservative government appealed her ruling. The government was forced to reinstate some of the benefits in order to comply with the court ruling, but doctors and refugee advocates say the current system still does not meet the requirements laid out by the federal court last year, add to that they say it's confusing for physicians and refugees. Michael Bossin, an Ottawa lawyer representing Amnesty International in the case, said the Liberals campaigned to reinstate the refugee health coverage. "They've said if they were the government, they'd withdraw the appeal," said Bossin. "My expectation is frankly that the appeal will be withdrawn and I think we're all hoping the program will be reinstated the way it was prior to June 2012." Bossin said lawyers involved in the case were told Wednesday – just two days after the election – that the case is on hold. Canadians Doctors for Refugee Care continued to call for changes throughout the federal election campaign. 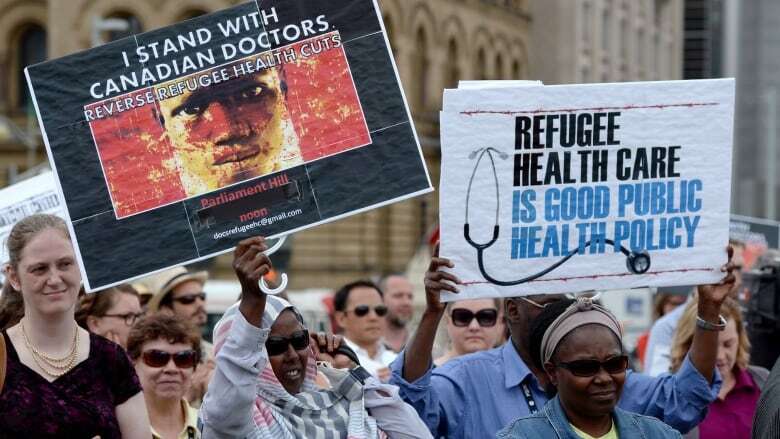 It had documented examples of refugees being denied public health care services and said the cuts had also resulted in increased costs to local hospitals and provincial governments, considering the province had agreed to fill in some of the gaps. Spin Cycle: Are only 'bogus' refugees affected by federal health cuts?